The deadline for articles, press releases and sponsored White Papers for the next issue of S&T Journal (e-Digest) No.10, Vol.97, October 2008 is 15 October 2008. You can submit your article or press release online. For more information and instructions of preparation click <here>. El Segundo, Calif., -”Driven by new government mandates, global shipments of automotive Microelectromechanical Systems (MEMS) sensors are expected to nearly double from 2006 to 2012, according to iSuppli Corp.
iSuppli forecasts worldwide automotive MEMS sensor shipments will grow to 935.7 million units in 2012, rising at a Compound Annual Growth Rate (CAGR) of 12 percent from 474.2 million units in 2006. Global auto MEMS sensor revenue will increase to $2.1 billion in 2012, increasing at a CAGR of 8 percent from $1.3 billion in 2006. The automotive MEMS sensor segment consists of 26 established and emerging applications in chassis, power train and body electronics. Major product areas for automotive MEMS are inertial sensors, pressure sensors, flow sensors, infrared sensors and emerging sensors. These tiny devices perform a variety of safety, control and environmental functions, from airbag collision detection, to tire pressure monitoring, to engine management. MEMS use many processes common in the silicon IC industry, but have either small moving parts or regions that sense different physical parameters. The attached figure presents iSuppli™ global forecast of automotive MEMS sensor unit shipments. "Driving the rapid growth of the automotive MEMS sensor market in the United States and Europe is a set of chassis safety-related mandates that makes compulsory the implementation of Electronic Stability Control (ESC) systems and tire-pressure monitors," said Richard Dixon, senior analyst for MEMS at iSuppli. "Both applications significantly contribute to saving lives on the roads, and tire-pressure monitors also lower fuel consumption." Shipments of MEMS pressure sensors for Tire Pressure Monitoring Systems (TPMSs) are expected to reach 179 million units in 2012, up from 43.1 million in 2006. Shipments of MEMS inertial and pressure sensors used in ESC systems will increase to 158 million units in 2012, increasing at a Compound Annual Growth Rate (CAGR) of 17 percent from 61.6 Â million units in 2006. "These applications will allow the automotive MEMS sensor market to outgrow the automotive and car electronics segments over the next few years, " Dixon said. "The U.S. has led in the implementation of TPMS and ESC systems," Dixon noted. "However, considerable lobbying by interest groups in Europe was recently rewarded by wide sweeping proposals on safety features, including ESC and TPMS. This will lead to considerable upside for suppliers because mandates support systems that require several MEMS sensors" ”four TPMS pressure sensors per car, a gyroscope with one of two low-g accelerometers in a cluster, and one or more brake pressure sensor per ESC system on average. For accelerometers and gyroscopes, mandates will more than double the number of sensors required." A second substantial market driver will emerge in 2009, when Europe's stringent new emission control regulations go into effect. This will boost demand for powertrain pressure sensors, which are used for applications including optimizing engine operation and reducing particle emissions in diesels. Other healthy MEMS markets include high-g accelerometers for airbags. The fast growth of the Chinese market also is benefitting sensors. "Mandates are reshaping the supply chain," said Bouchaud, principal analyst for MEMS at iSuppli. "In the case of ESC systems, transitioning rapidly from an expensive option to a standard function in just a few years will create a space for newcomers and threaten established second-tier suppliers. Bouchaud added that the market transparency brought by government mandates may herald greater commoditization and price erosion in MEMS sensor products, as all suppliers provide products that conform to government specifications, and which accommodate a range spanning the most expensive to the cheapest available vehicle. This will reshape the competitive landscape for MEMS sensors due to increased competition, Bouchaud added. El Segundo, Calif.,- Driven by new demand from consumer electronics and wireless applications, the global market for Microelectromechanical Systems (MEMS) will expand to $8.8 billion in 2012, up from $6.1 billion in 2006, iSuppli Corp. predicts. The attached figure presents iSuppli's forecast of global MEMS revenue by device. 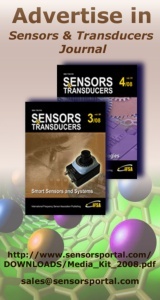 The worldwide market for accelerometers, gyroscopes, microphones, pressure sensors, Bulk Acoustic Wave (BAW) filters, flow sensors, micro-fluidic chips, microbolometers, thermopiles and oscillators is growing at an 11 percent rate annually, and overtook the actuator market for the first time ever in 2007. Four main segments collectively will account for slightly more than 60 percent of total MEMS market revenue in 2012: consumer electronics, mobile handsets, automotive and industrial process control. Aside from the consumer and wireless applications, market pull is being exerted by the automotive sector, an established area set to receive new impetus as a result of mandates for safety and new emissions standards. Demand also will be driven by a diverse range of applications in industrial processing and control. The one bright spot for actuators is in Radio Frequency (RF) MEMS switches used in mobile handsets and test equipment. This market will grow at an annual rate of more than 100 percent from 2006 to 2012, and will account for $261 million in actuator revenue in 2012, up from just $6 million in 2007. Pioneering companies with brand new MEMS products tend to enjoy a lengthy monopoly in the market, such as Texas Instruments with its DLP chip or Knowles with MEMS microphones. Meanwhile, in fast-moving markets like consumer electronics and automotive sensors - the latter driven by mandates - economies of scale will be the norm, with sensor companies attempting to address both sectors. iSuppli also expects the pace of mergers and acquisitions to accelerate in 2008 and 2009, concentrating MEMS market share among fewer players.